Yes, I am stealing the title for this blog from In Your House 7: Good Friends, Better Enemies. You know the one, it was when Shawn Michaels defended the WWF Championship against Diesel in 1996. It all ended with "Mad Dog" Vachon's prosthetic leg being used as a weapon. The show was titled such because Michaels and Diesel had been friends through their years in the WWF, but put on some pretty good matches against each other too. 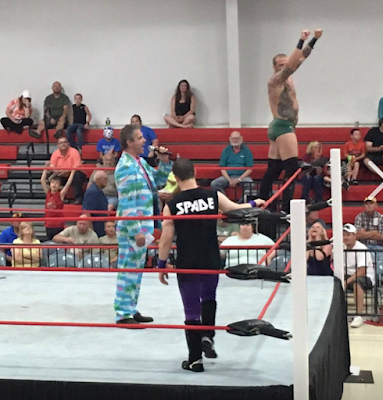 The same can be said about Stride Pro Wrestling's Heath Hatton and Jay Spade. The two have been friends for as long as I can remember. They were both good guys in All-American Pro Wrestling and Pro Wrestling Collison. Even in Stride, they've been allies. The two have been tag team partners and opponents (in a recent fatal four-way), but not one on one since 2011. They wrestled one time in IWAU. Hatton won that encounter. Six years and several companies and championships have passed and both men have improved their in-ring game. They're two of the most popular wrestlers in Stride. But each is hungry for the heavyweight championship. Hatton has had a taste of the gold and Spade wants to sink his teeth in his first singles title with Stride. There's no doubt each man will pull out all the stops to win this number one contenders' match Saturday night. 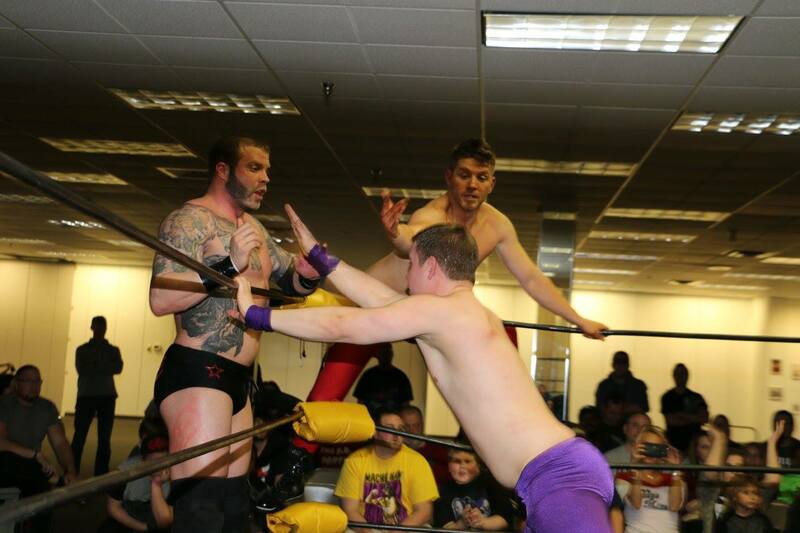 Each earned the right to be in the match after tumbling to the floor at the end of the Rumble match last month. Before that Rumble match happened though the friendship hit an iceberg (see what I did there?) as the two lost a tag team title match to Maximum Overdrive. Hatton hit Spade with a couple of spears that would have broken a lesser man in half. The boil over is the result of miscommunication during the TLC match in which Hatton lost the title to Roger Matheus. Spade kicked the champ and put him through a table. There have been other miscues and mistakes since that show in May. This battle will no doubt be epic. It's something I've wanted to see for a long time. But when you factor in the number one contender spot as well, there will be no stopping either man. Join us Saturday night at the Illinois Star Centre Mall in Marion for this battle. Bell time is 6:30 p.m.